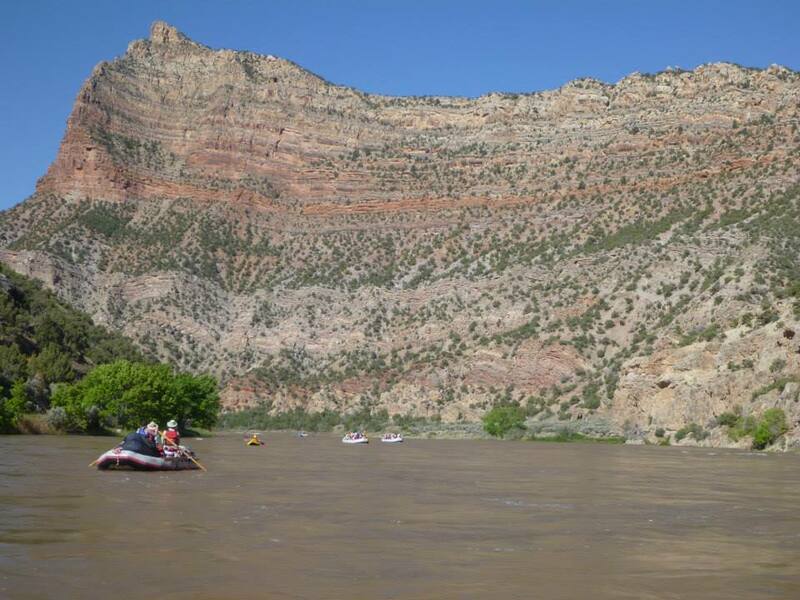 Join us for a downriver adventure in Colorado and Utah, where you’ll float through Dinosaur National Monument and experience incredible scenery first described by explorer John Wesley Powell. On our 70-mile journey down the Yampa and Green Rivers you’ll visit remote archaeological sites, including Fremont culture rock art panels and prehistoric rock shelters. 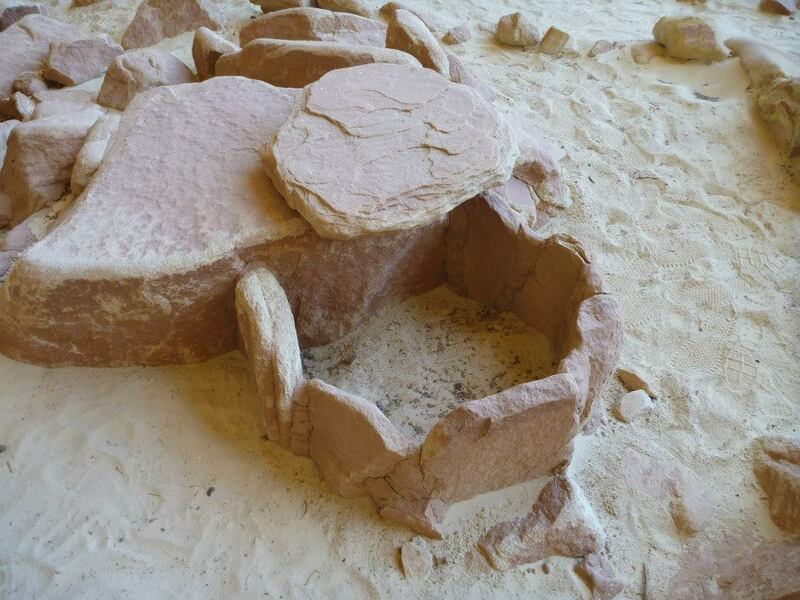 David Grant Noble, author of Ancient Ruins of the Southwest, will accompany the tour. For further information or to join us, contact us at tours.tac@gmail.com or by phone at (505) 266-1540. Friday, June 1– Join us for a welcome reception and dinner in Vernal, Utah. 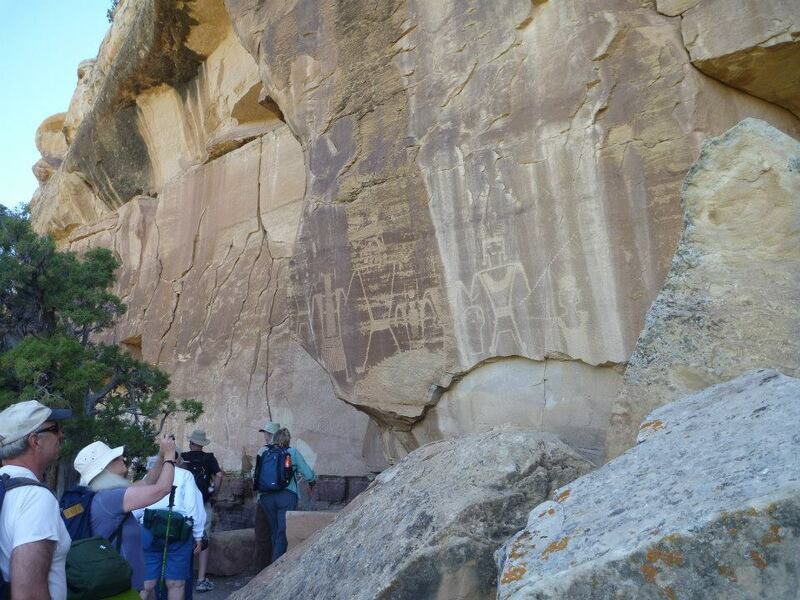 We’ll spend the morning in Dry Fork Canyon exploring one of the best-known collections of Fremont culture rock art. 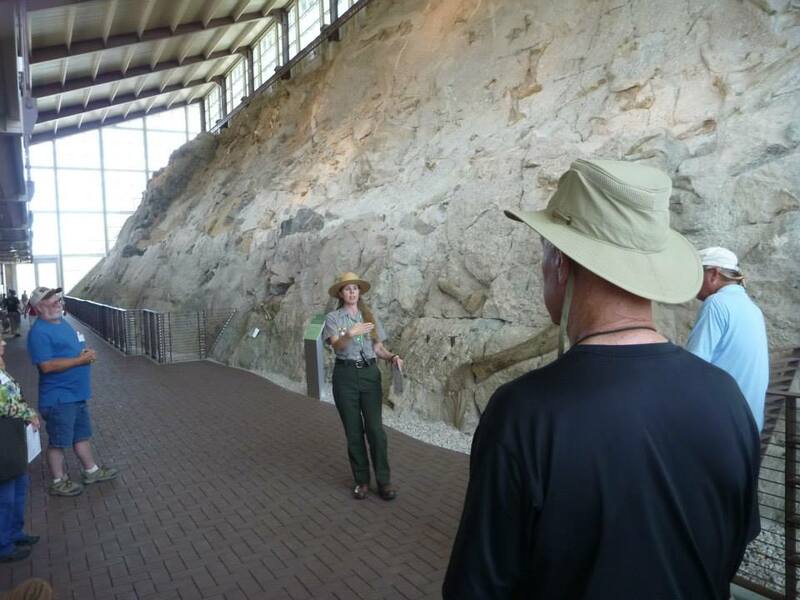 In the afternoon, we’ll visit Dinosaur National Monument and see fossils of dinosaurs and other creatures that roamed the area nearly 150 million years ago. We’ll spend five days and four nights on the river. Friday, June 8 – Tour participants depart for home. Serviceberry Shelter – a partially excavated hunter-gatherer shelter. Mantle Cave – an immense vaulted sandstone alcove that contains Fremont culture storage cysts. 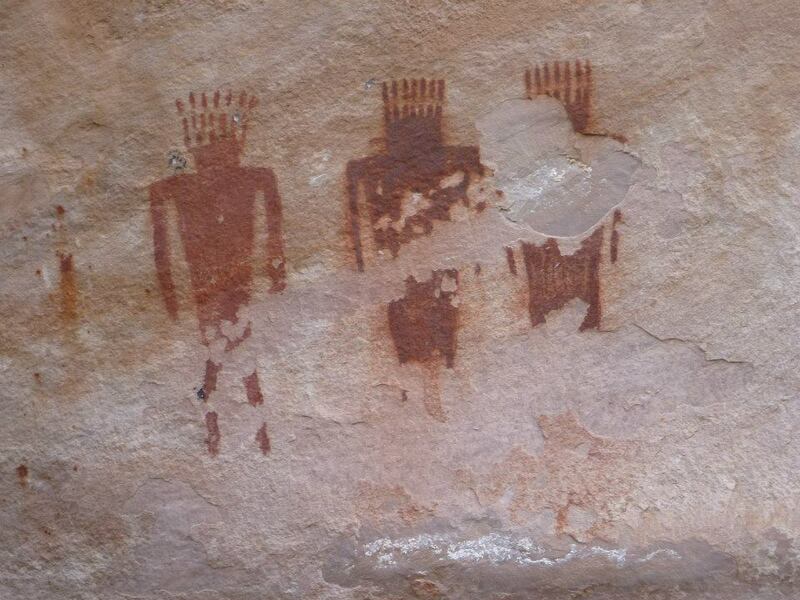 Deluge Shelter – an Archaic period rock shelter with pictographs of anthropomorphic figures. You’ll find breathtaking scenery and fascinating archaeology throughout the trip down the river. You’ll have the chance to see a variety of wildlife, including bighorn sheep, deer, and eagles. You’ll also have plenty of opportunities to hike mild to moderate scenic trails, including one that follows the waters of Jones Hole and Ely Creek. Spring runoff from the Rockies should provide a series of low to middle level rapids, which will be navigated by our expert rafting staff. At night you’ll camp along the river and enjoy marvelous meals prepared in the great outdoors. The trip is open to people in good health who enjoy the outdoors, camping, and a little white water fun. The outfitter for the tour is Dinosaur River Expeditions, an established river company. Cost includes three nights of hotel accommodations in Vernal, Utah, based on double occupancy (single supplement is $175), all meals, refreshments, and cocktails. 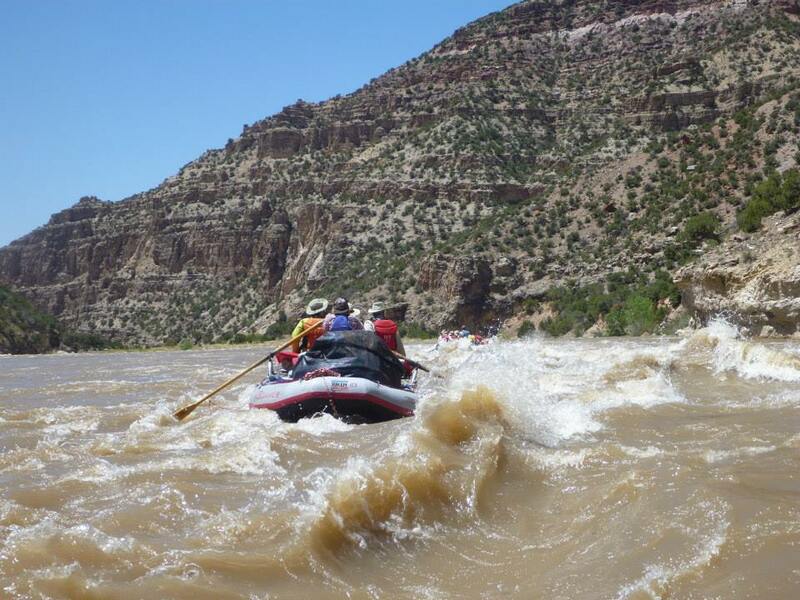 All rafting equipment and waterproof duffel bags are provided, as well as guides, cooks, and boat staff. Not included are tents, sleeping equipment, personal gear, and fishing supplies. Sleeping bags and tents can be rented from the outfitter. Transportation to and from Vernal is not included in tour price. NOTE: A modest amount of hiking is required. Some sites have rubble, undeveloped trails and stairs. Camping outdoors is required. Rafting rapids is required. For further information, contact us at tours.tac@gmail.com or by phone at (505) 266-1540.